So I recently finished a client quilt. This quilt scared the wits out of me. Why??? I seriously didn't know where to begin on how to quilt it. This quilt is huge. My client made it as a wedding gift for her son. Her son was married at a castle. 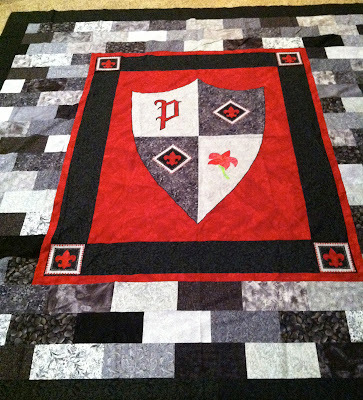 He requested a quilt with that theme including a family crest/shield. It is a very cool idea. The colors are so striking. My client really did a beautiful job creating a quilt with those requests. The hard part for me was...how do I quilt it??? The center with the shield is a large area. I stared at this quilt on and off for a l-o-n-g time. It finally came to me. Thank goodness. I'll give you a little peek at what I came up with. The Quiling is Perfect and the style of the quilt for a castle wedding is Great. Don't you Love those AhHA moments. For me I wished they came more often!!!! First, what a fabulous quilt. Very lucky son to have such a talented Mom. 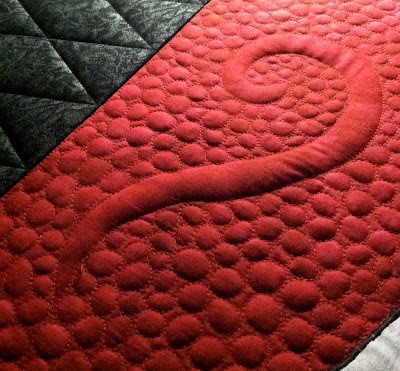 Second, what a perfect quilting design. Together...a very stunning quilt. I like the pebbling a lot and think it's perfect for this type of quilt. Very cool quilt too. How nice to be married in a castle! I decorated with my autumn decorations last week! This week is pie baking using the apples from our trees; and maybe some apple butter too! Woohoo! Looks great Linda! I've always wanted to try pebbles. Wonderful job! You have such a gift to see the personality of the quilt! And of course, as always, your work is spectacular! Looks great - can't wait to see more!!! 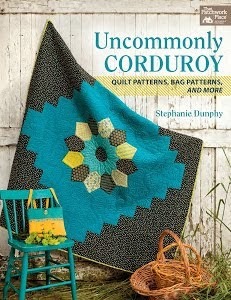 What great quilting! It fits the top perfectly :-) Thanks for sharing it. I keep my Halloween decorations up until Thanksgiving too. Especially jackolanterns. They are pumpkins! Perfect! You really have the talent for figuring out what to quilt - I think that's the hardest part sometimes! I really can't wait to see the rest! Oh, my, that is awesome! You are fantastic! Wow! That is an amazing quilt! You did a fantastic job of quilting on it. Your son is going to love it! 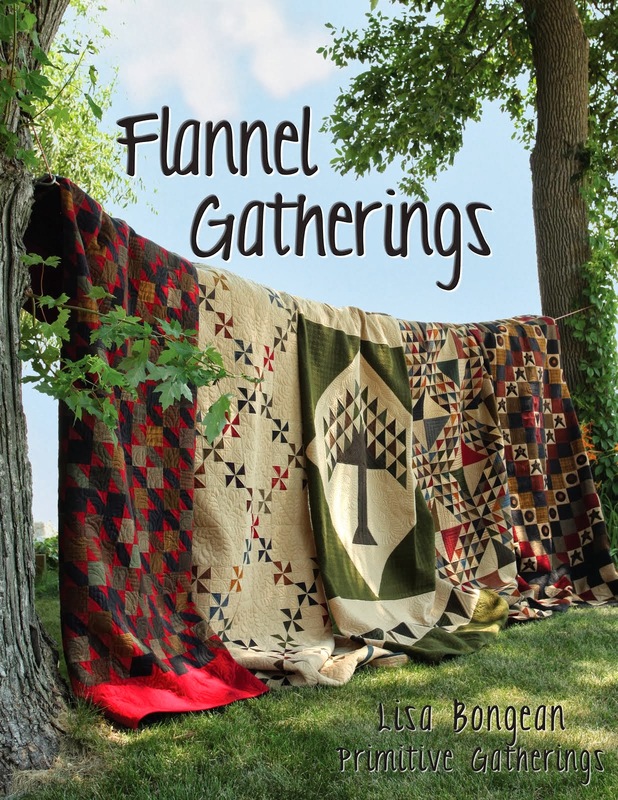 You have quite a knack for letting the quilt speak to you! It looks so easy, but I personally know how difficult pebbling is - truly and art you have mastered, Linda! The bride and groom will have quite the quilt to begin their married lives together! Wow, pebbling is something I've not done a lot of yet. Your design looks like it will be a winner for sure! I love pebbling! It looks great! Uses a lot of thread though, but so worth it. WOW! That looks so nice. Here I thought you were the master featherer, now you surprise me with your pebbling skills. Is there anything you can't do? The pebbling is so unique; I love it. This is stunning. I love the red pebbling. Very cool! I can't wait to see the rest! It is a cool quilt!